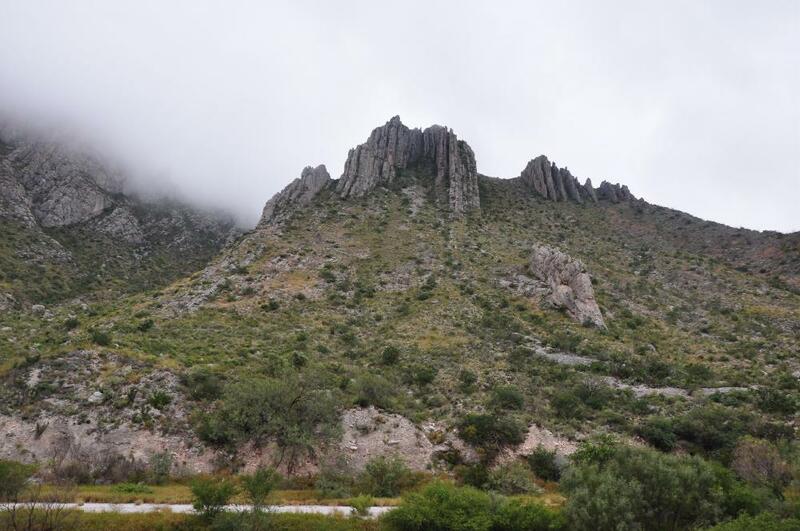 North Central Mexico is characterized by upthrust limestone mountains. On the east, runs the Sierra Madre Oriental (Eastern Mother Range) and on the west the Sierra Madre Occidental (Western Mother Range.) Between those two ranges is a high desert plain called the Altiplano (High/Flat).This rain shadow region is shared by two deserts, the Chihuahua (does the dog come from here?) to the east and the Sonora (Big Noisy) to the far west. 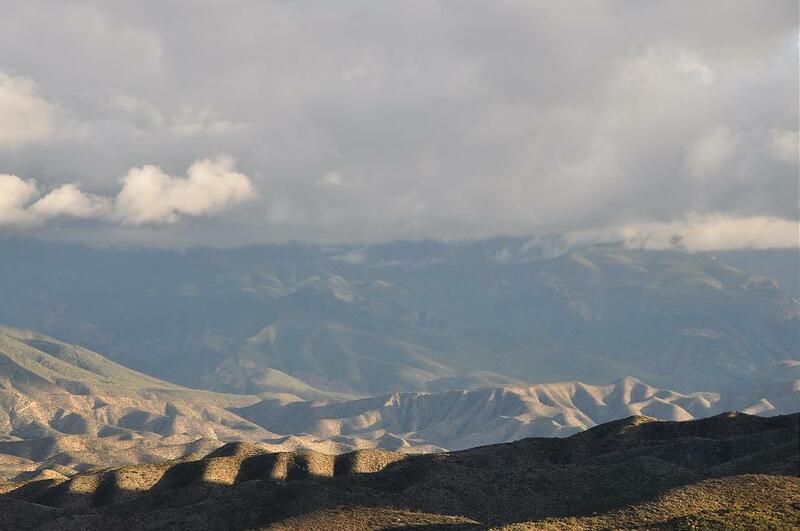 A desert is defined as a region receiving less than 11″ of rainfall a year. Little rainfall and poor soil are two of the factors controlling what plants are able to thrive and grow in this region. 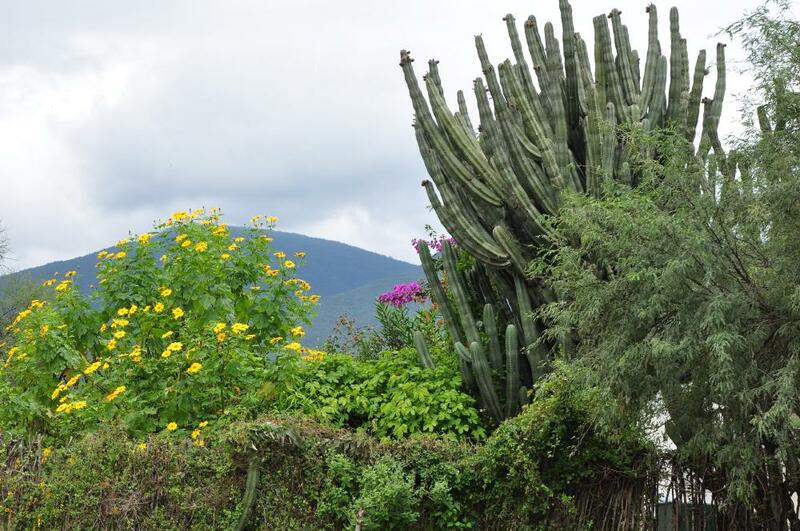 There are more species and varieties of cactus growing in the Chihuahua Desert than anywhere else on earth. They have adapted to its harsh conditions by developing small leaves, deep roots, and stems that store water for the dry times. 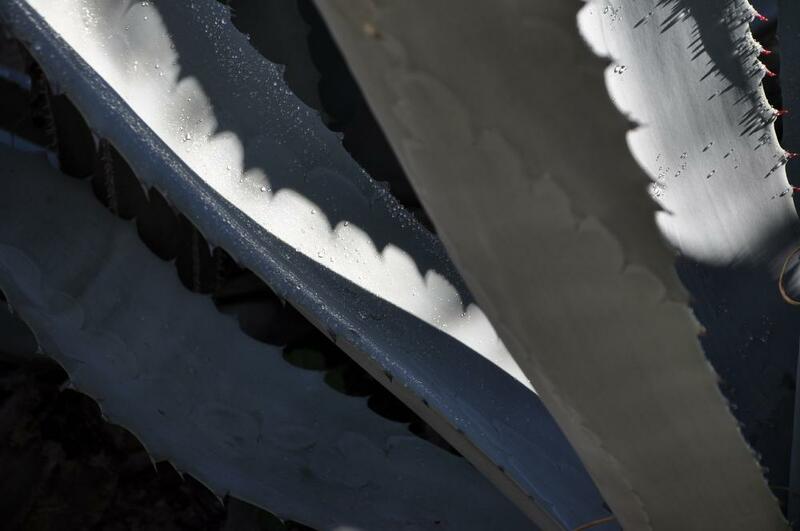 Plant-eating predators are kept away by fierce thorns, but still, some insects have found a way to get past this barrier. 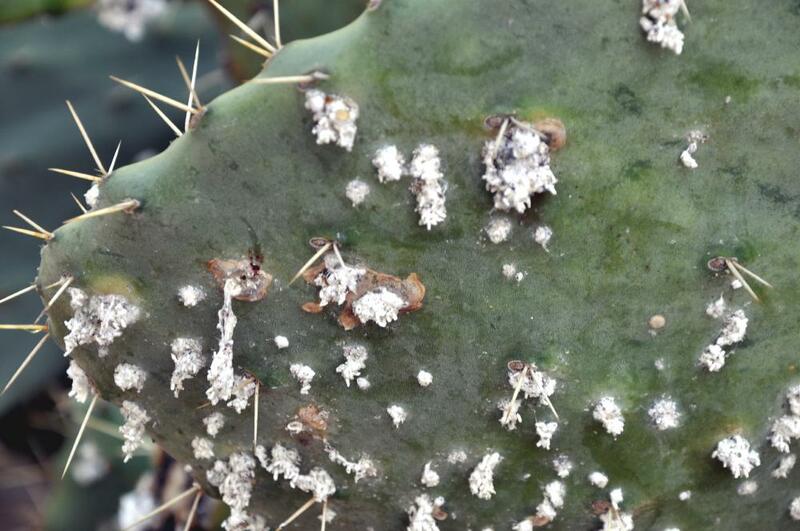 This prickly pear leaf is occupied by the cocchineal insect. Despite its rain shadow, moderately high elevation, desert status, and low humidity, many nights in the desert are quite cool. Plants retain some warmth from the sun, causing dew to form each morning. This scant moisture is sufficient for the many species of lizards, desert rats, and other animals to find water for life. 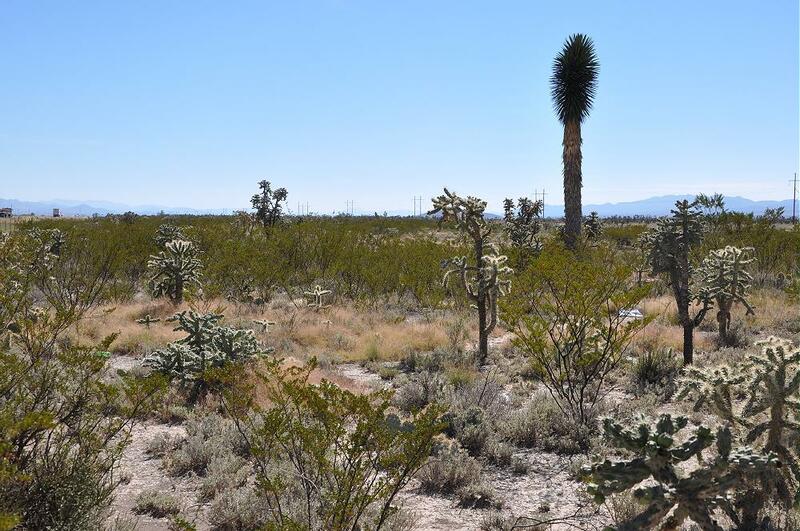 Plants like the Joshua tree, cholla cactus, and allthorn grow slowly; and some, like the cresote, can live for thousands of years. Monarchs migrate through the Altiplano, but recent investigations have found that they prefer to make their way down through the Sierra Madre canyons and valleys where rich vegetation and a summer rainy season produces vast numbers of flowering plants. This entry was posted in About the trip, For Friends and Family and interested others. and tagged Altoplano, Chihuahua Desert, monarch migration, northern Mexico, rain shadow, Sierra Madre Oriental. Bookmark the permalink. Hi Love the web log, as I am in Britain we do not have the spectacle of this remarkable insect migration here so its great to see others following the Monarch with a passion. Anyway as you ask, yes the Chihuahua dog is named after the region and its place of origin. Really great pics. Do you travel alot to mexico? Thanks for sharing.